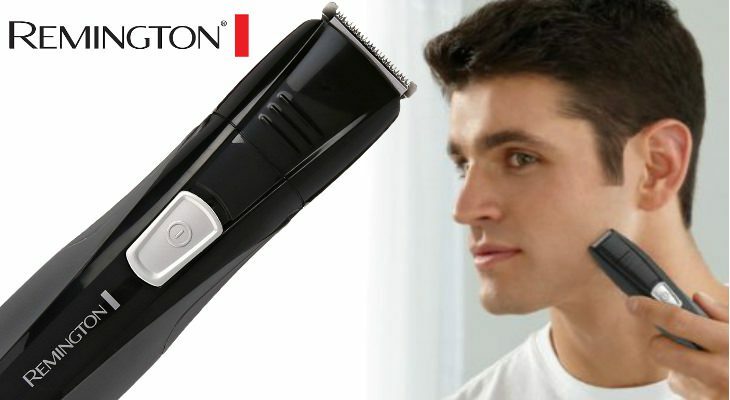 Remington is known for their affordable line of men’s shavers and groomers. 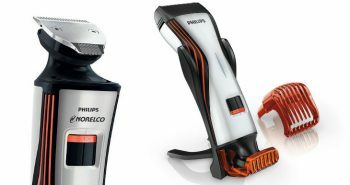 Many men turn to Remington when they’re daunted by the $200 Philips Norelco line of shavers. 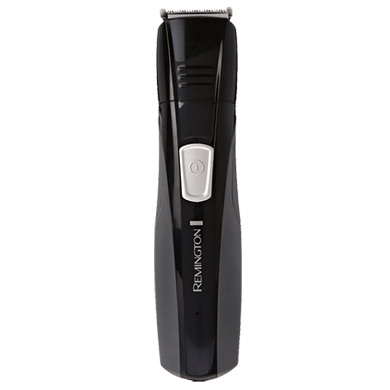 The Remington PG525 Lithium Head to Toe Body Groomer only costs around $25, making it an affordable addition to a men’s grooming kit. This is a cordless and rechargeable product. 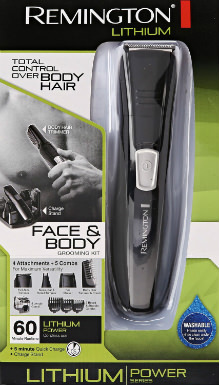 Remington has placed all of your grooming needs together in one package, so that you don’t need to go out and buy a men’s facial shaver, a nose trimmer, a beard trimmer, or a back trimmer. You’ll also get a variety of attachments in this kit. Now you only need one product. 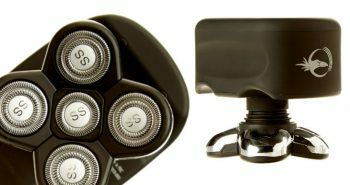 Men may decide to toss their regular men’s shaver as the PG525 Lithium Head to Toe Body Groomer is suitable for shaving the face, head, beard, torso, legs, and back. It’s for men who want to look only their best. The Remington also comes with a kit, so you have everything you need in one spot. The Remington PG525 is a long rectangular shaped body groomer in sleek black. It has a slightly curved design, making it easier to hold in the hands. There is a white on/off power switch located on the middle of the shaver. The groomer measures 6.5 inches in length or 16 centimetres. The top of the Remington PG525 has a silver trimming blade. You can use it alone, or add on one of the many attachments included. It has four different attachment heads. There is the nose, ear, and detail head to do tiny spaces. There is also the main trimmer head. There is the foil shaver head so you can shave normally. 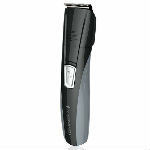 There is also a body trimmer which is the best option for shaving hair from the neck and down. There are three snap-on combs and they are also adjustable. You have the choice of a close trim, a medium length trim, or a longer length of trim. One of the attachments perfect for shaving body hair is the vertical body hair trimming attachment. The vertical alignment will more easily enable you to trim, detail, or shave off your unwanted body hair. 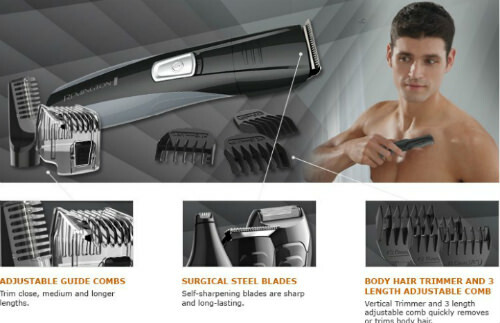 There are three different length choices with the adjustable comb. 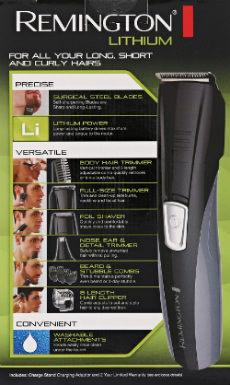 The full size trimmer attachment can be used to trim sideburns, the neckline, and the facial hair. There is also a foil shaver attachment, and this can be used to shave closer to the skin. The nose, ear, and detail trimmer attachment can be used for safely removing the unwanted hairs that can grow in the nostrils, or ears. This is a safe way to shave, as using scissors can cause puncture wounds, and tweezers can be painful. The trimmer attachment provides a tug-free and pain-free solution. There are three different beard and stubble comb attachments with this shaver. These will trim and help you to maintain a perfectly even beard. You can shave down to a three day stubble look or trim your beard to differing lengths. There’s no need to look like every other man with these combs that can provide beard customization. The Remington PG525 Body Groomer can also trim hair. 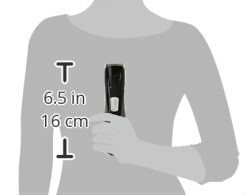 There is an eight length hair clipper comb. This comb will adjust to your preferred cut or style. Now you can trim your own hair, and have an even length on both sides of your head. There are some great blades built within the Remington PG525 Lithium Head to Toe Body Groomer. The blades are self-sharpening, so that they will be strong and longer-lasting before you need to replace the head. You’ll find that you have a pleasant shaving experience that is really comfortable. The shaving blades are made with surgical steel, which will minimize discomfort, particularly for men who may be allergic to nickel or other types of metal. These surgical blades are also long-lasting and provide for a more durable performance. The blades are also designed to be self-sharpening. This means that your groomer will stay in excellent operating condition. 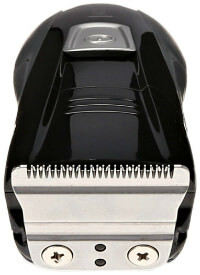 Your shaver will shave as well three years from now as it did on the first day that you opened up the box. The Remington PG525 runs on a lithium battery that is rechargeable. There is a convenient charger stand too, so you can keep your shaver and groomer neatly on the top of the bathroom counter. You can use the stand for charging or for storage. The charger cord and plug fits through it. While the product is cordless, you should be aware that the Remington Groomer is not waterproof. You won’t be able to shave with water, or take it into the shower or bath. However, you’ll be happy to hear that you can first remove the combs and attachment heads and rinse them under the sink. Ensure they are fully dry before reattachment. One full charge of your Remington PG525 Lithium Head to Toe Body Groomer will give you sixty minutes of cordless runtime. It’s the lithium battery that enables the Remington shaver to last for longer. It provides more energy to the motor. You can use the shaver while the cord is plugged in as long as it hasn’t gone completely dead. It may take a few minutes to get enough juice before you can use it, but at least you’ll get your morning shave in. There is a light on the front of the Remington PG525 Body Groomer that indicates it is charging. When the groomer is turned on, it will light up with a steady green light. The reviews are highly favourable for this Body Groomer, with about 4.3 out of 5 stars. Included in the kit is a Remington PG525, a stand, a charger cord and plug, four attachment heads and three trimmer combs. The groomer weighs 8 ounces and measures 1.5” x 1.1” x 6.3 inches. The entire kit weights 1.2 pounds in the box. 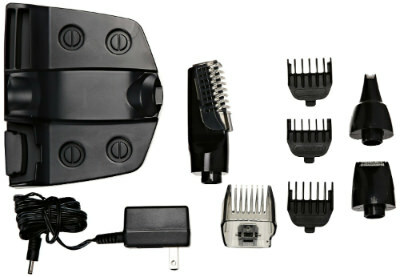 There is a two year limited warranty on the Remington PG525 Lithium Head to Toe Body Groomer. There may also be a sixty day guarantee depending on where you have purchased your Remington groomer. If you’ve been searching for an affordable men’s groomer that can be used from head to toe, the Remington PG525 could be your best friend. It can do everything from trim hair, to shave the face, maintain a beard, and shave off torso hair.